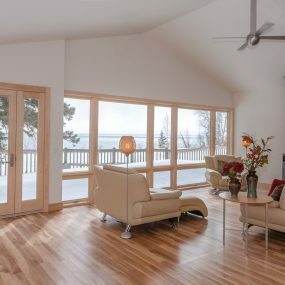 Having a quaint space to relax, have a cup of coffee and enjoy the views of Lake Superior is what this couple had envisioned when they purchased their fixer-upper lake home. 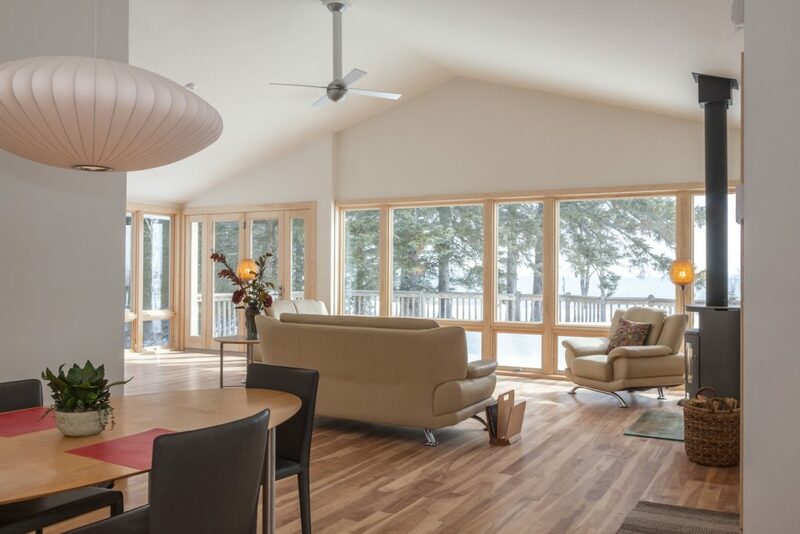 They are long time clients of Knutson Custom Construction so they knew that Andrew and his team were the perfect ones to turn this fixer-upper into their dream lake home. 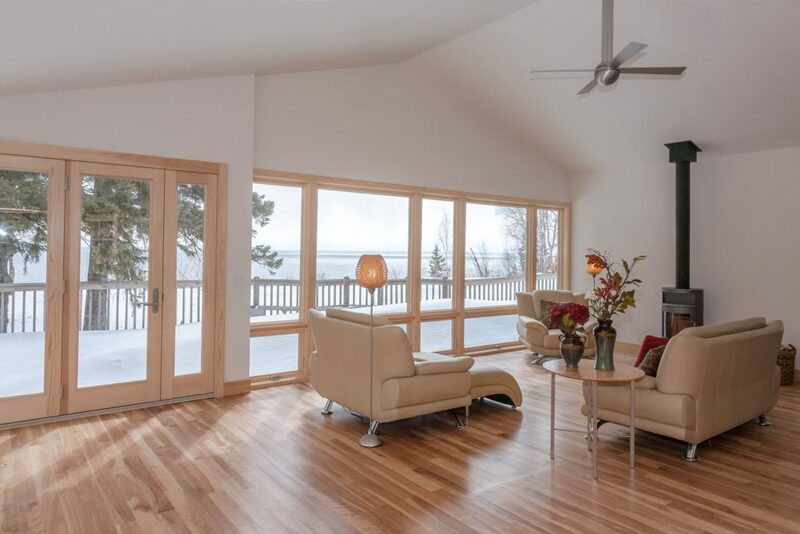 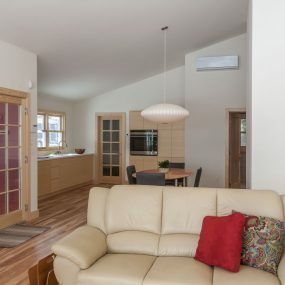 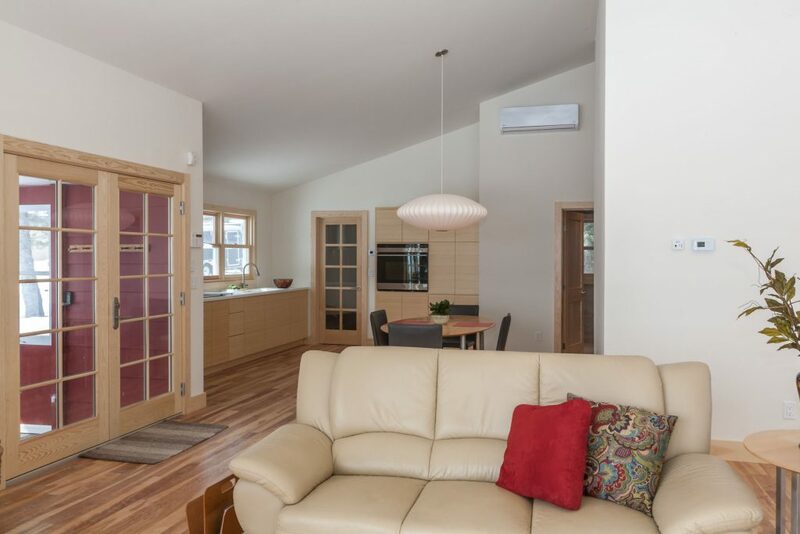 The vision of the home owner paired up with the creativity, design and talent of Andrew and Knutson Custom Construction this lake home is not only cozy and quaint, but it is breath taking. 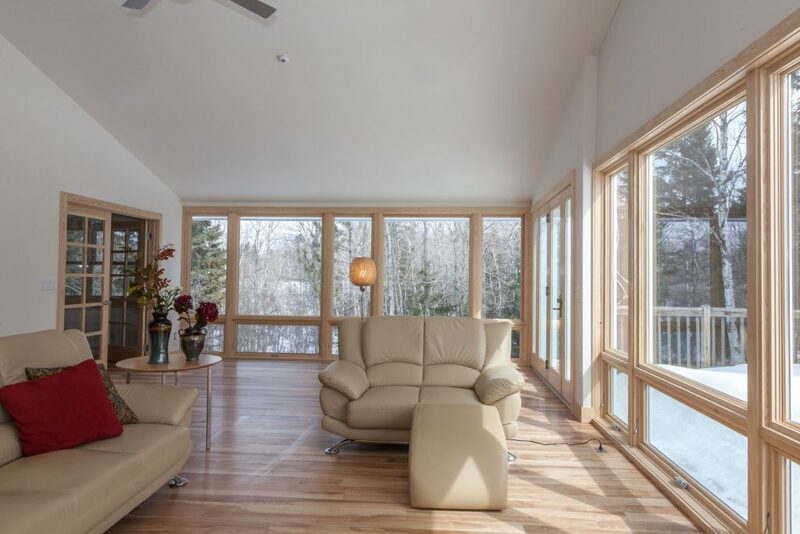 One and a half sides of the first level are almost floor to ceiling windows to enjoy the beautiful views that this place has to offer. 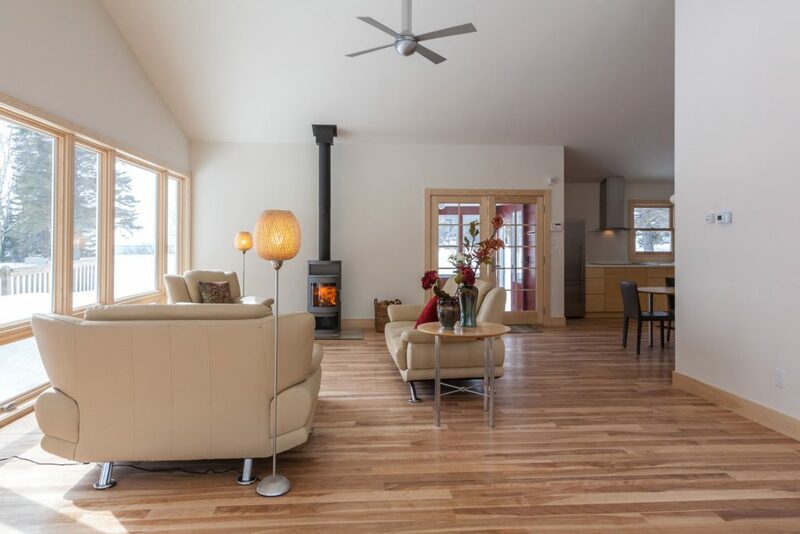 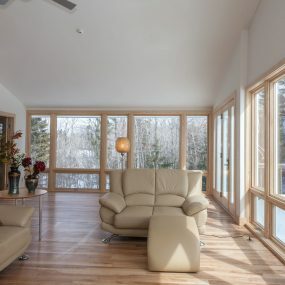 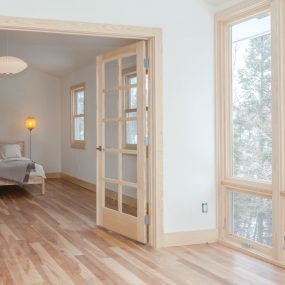 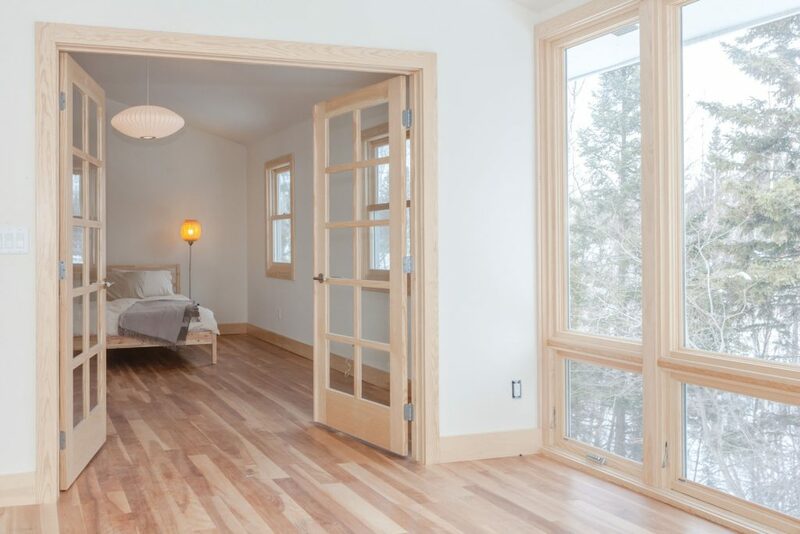 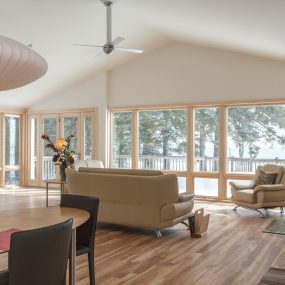 The entire first floor is birch plank flooring throughout with a light neutral wall color to enhance the light that comes in through all the windows. 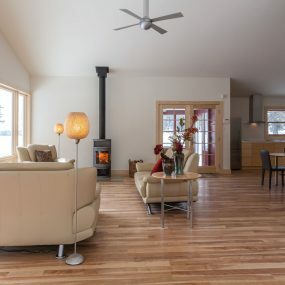 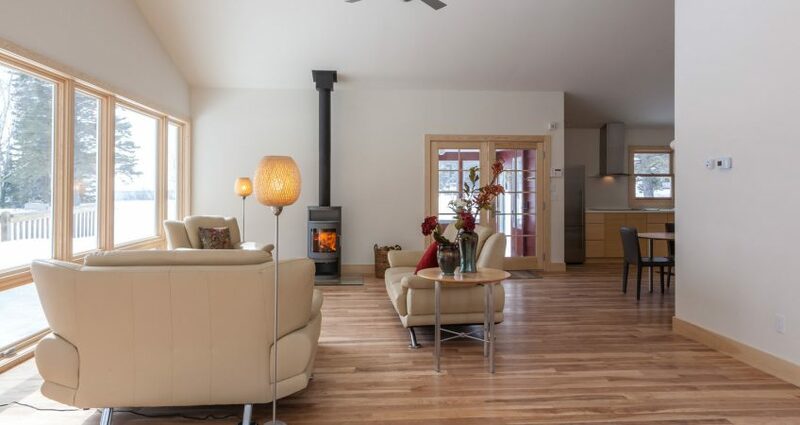 The small but efficient wood burning stove in the corner of the room adds a piece of sophistication to the entire room as well as providing heat on a cool fall morning. 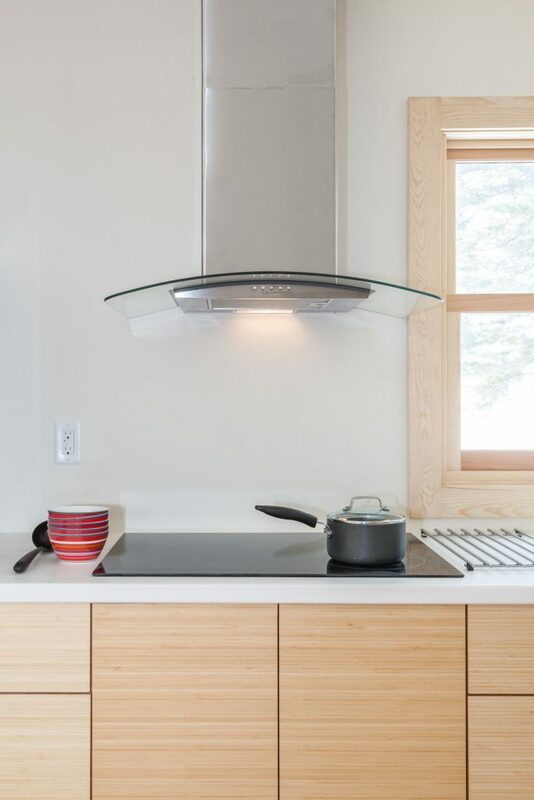 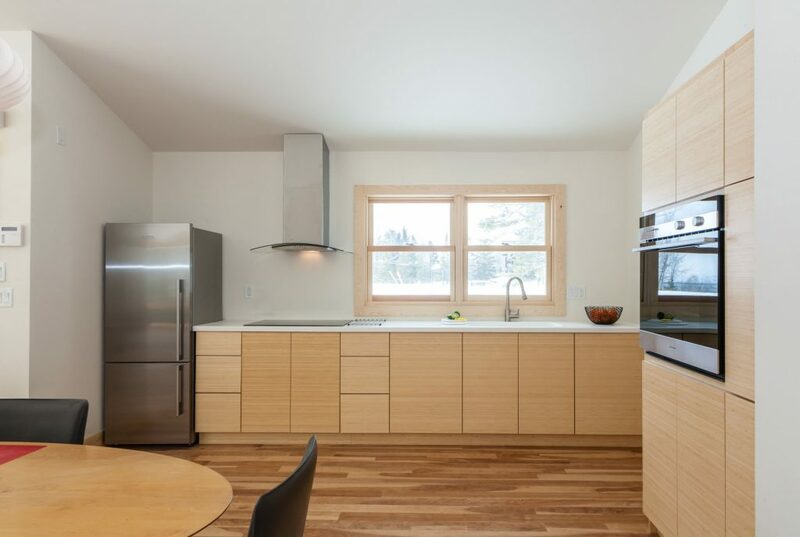 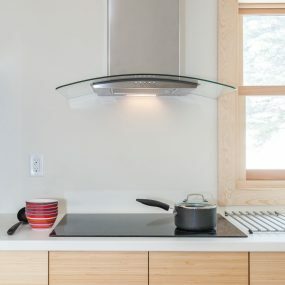 The bamboo cabinetry is crisp, clean and streamlined to give the kitchen a larger look and feel. 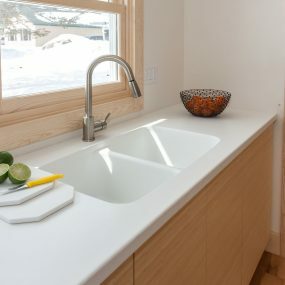 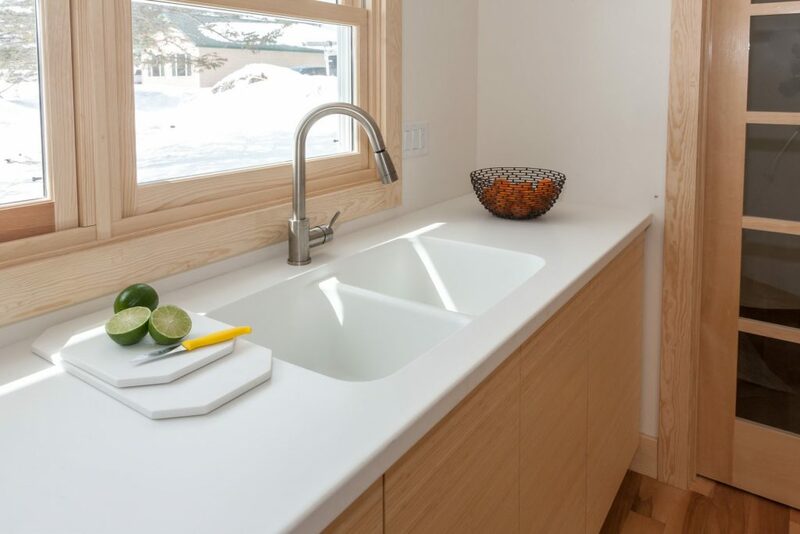 The white Corian countertop is all one piece, including the sink, to add an additional modern edge to the kitchen. 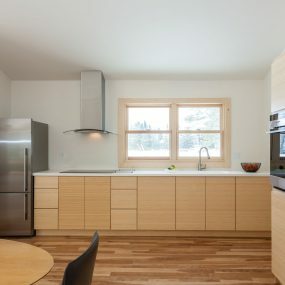 The bathroom is tiled from floor to ceiling with a smaller 12 x 12 tile on the floor and a larger rectangular tile was set on the walls to enlarge the space of the bathroom. 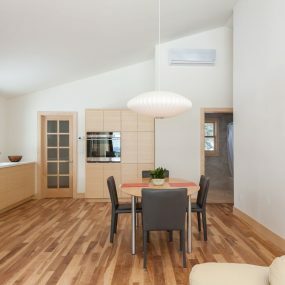 The sleek white fixture gives it that modern feel the home owner is partial to. 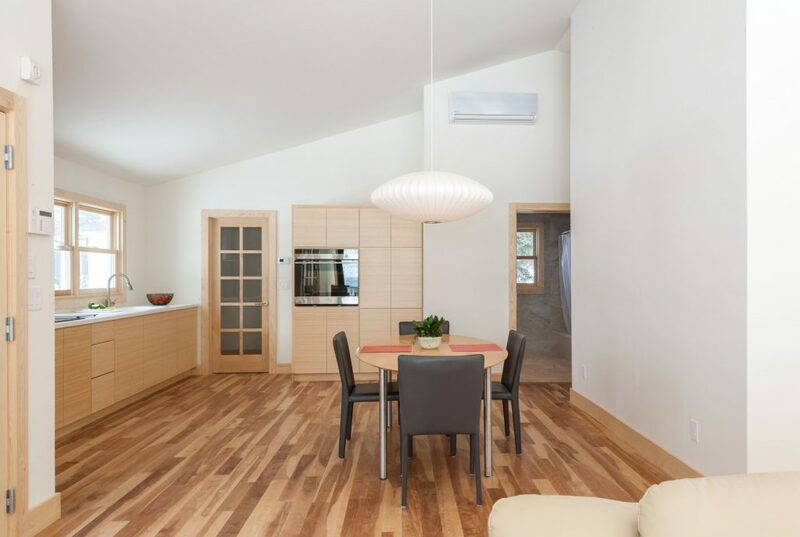 No detail was left undone in this complete modern remodel, the result is simply magnificent.